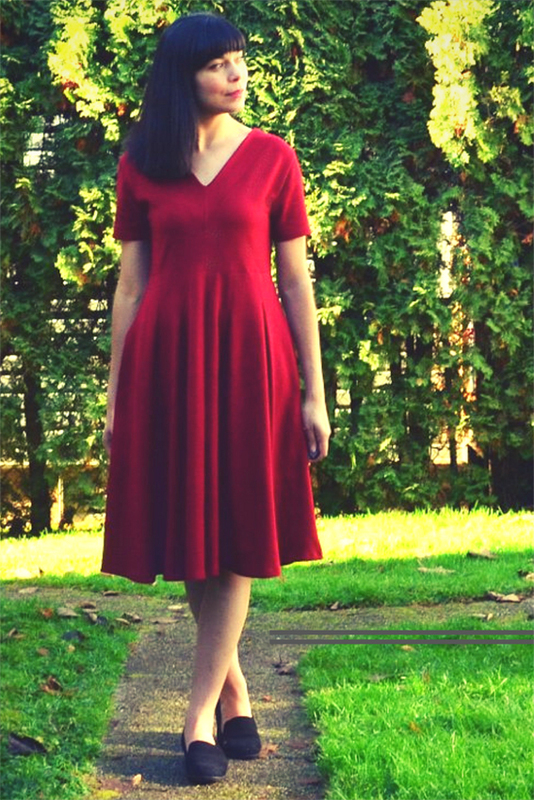 Roma Dress is another great sewing pattern from DG Patterns. This PDF semi-fitted dress knit pattern has been designed for confident sewers. It features a V-neckline on front and back and side seams pockets. The pleated skirts sits comfortably below the knee and offers a voluminous skirt with a great drape. The pattern is perfect for light to medium weight knit fabrics such as jersey knit, double knit, ponte roma, pique, hatchi sweater knit, and stretch velvet.